Thinking of changing over from a monohull to a multihull? Caroline Strainig interviews a couple who have done just that to see how they found the transition. 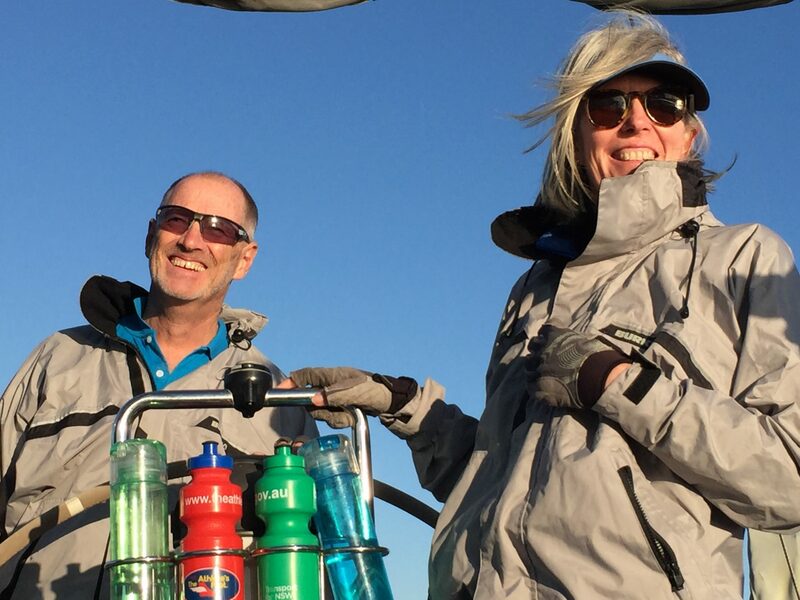 When Sydney couple Joe and Karen Atkinson decided to buy a multihull, they did their homework. 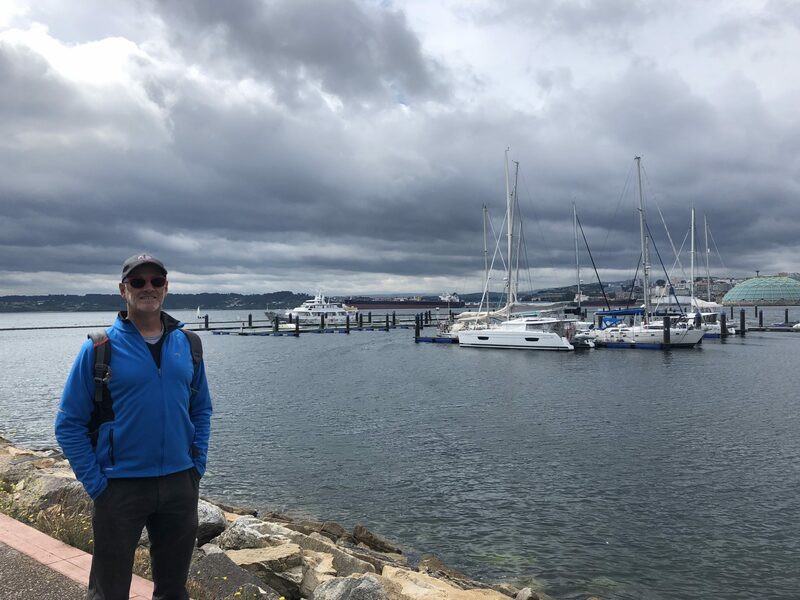 Both accountants by profession and with a long history of running tourism-related businesses, they conducted exhaustive research and test-sailed just about every brand of multihull available in Australia. 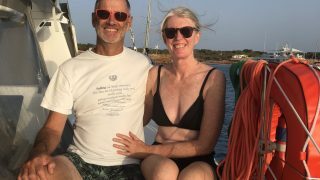 Fast forward a few years, and they are now the proud owners of a Helia 44 Evolution called Dos Peregrinos, which is Spanish for two pilgrims. 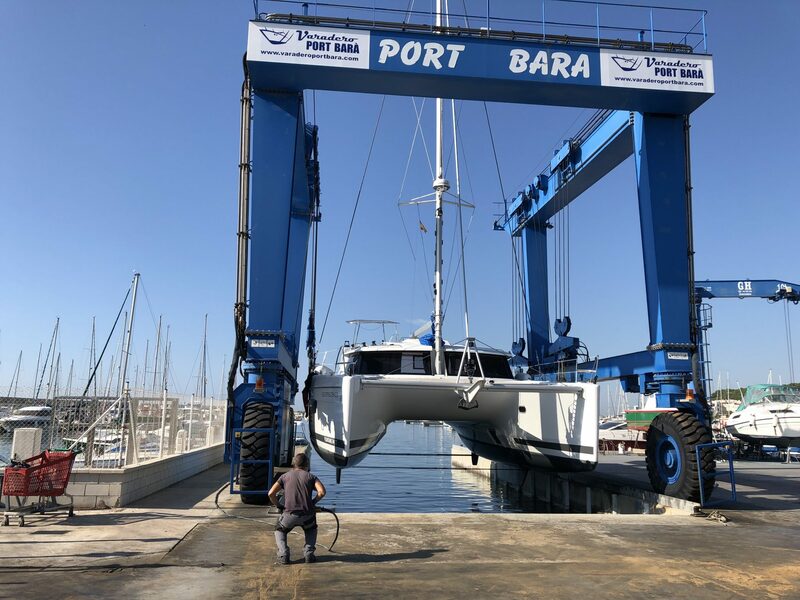 They took delivery of at La Rochelle in France near the Fountaine-Pajot factory in May of 2018. 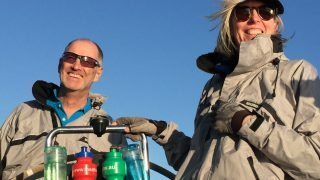 At the time of writing, the boat was on the hardstand in Spain for the European winter while Joe and Karen enjoyed a break at home in Australia, before heading back overseas for some more cruising. The plan is to explore the Med and Caribbean before gradually making their way home. And are they happy with their decision? They are, but it isn’t just because they are seeing their boat through rose-coloured glasses after visiting a list of exotic Mediterranean destinations. 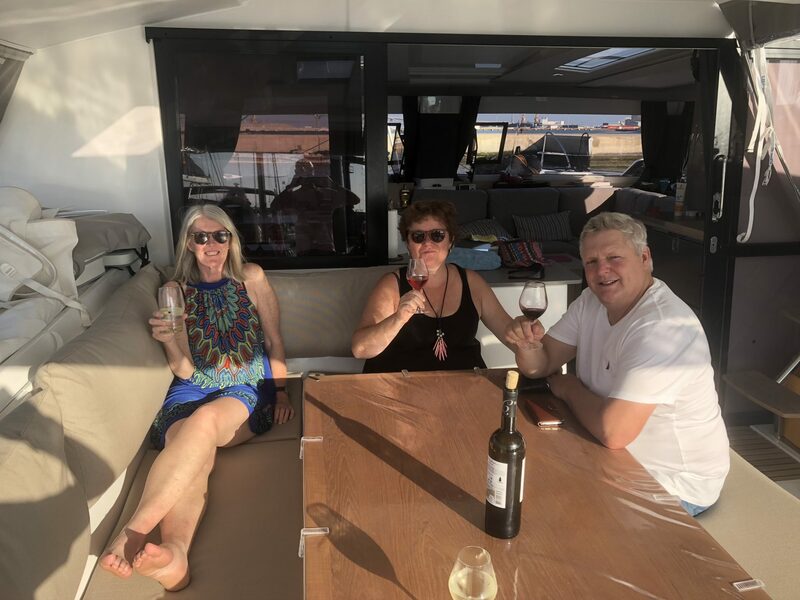 Ask them what they love about their new catamaran, and the enthusiasm in their voices shines through. 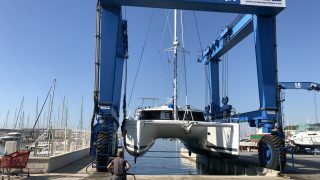 Space and comfort were top of their list and they say the Helia has delivered in spades, at least double that of their 11.2-metre monohull. The Helia has a huge cockpit, lots of room on deck, a large saloon, massive owner’s stateroom which takes up an entire hull, plus two spacious guest cabins in the other hull, each with its own en suite. Joe and Karen have already hosted two other couples and said the privacy was unsurpassed. “There were lots of places to go and relax,” Joe said. She told of trying to sleep in the forward vee-berth of monohulls offshore in strong conditions. “You almost left your berth at times when it was rough,” she said. 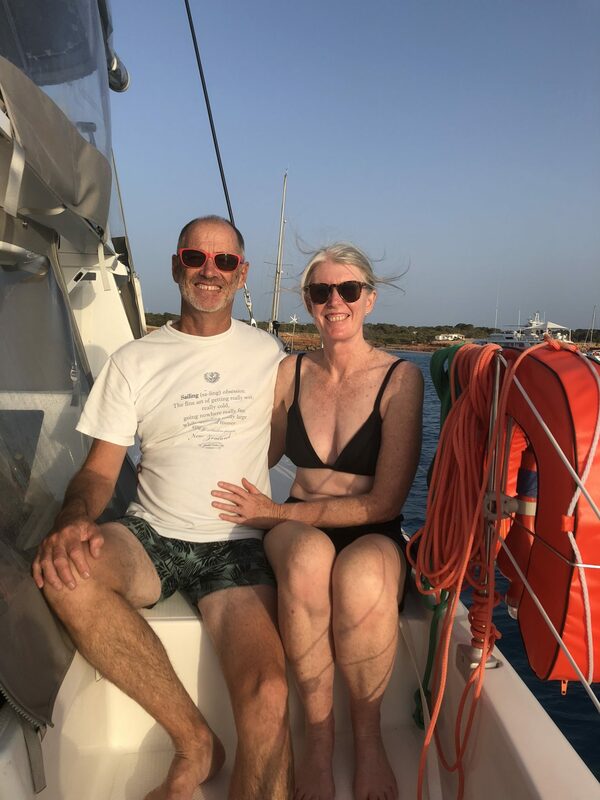 Having put their new boat to the test already in rough conditions off the Atlantic coasts of Span and Portugal, she has found the catamaran much better. She also feels much more secure in the cockpit. “On night watches I feel a lot safer on the catamaran, because it has a huge covered, semi-enclosed cockpit. 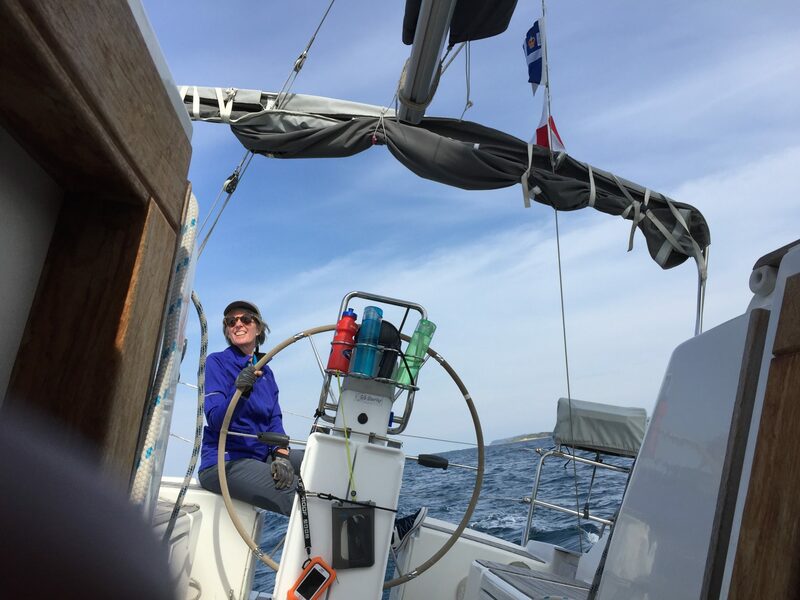 “On the monohull it was freezing stuck out the back there,” Karen said. As with their monohull, Joe said almost all sail controls are easily accessible from the helm. You do have to go forward to the past to tie off the tack ends of the second and third reefs, but he has already come up with a plan to tweak this. 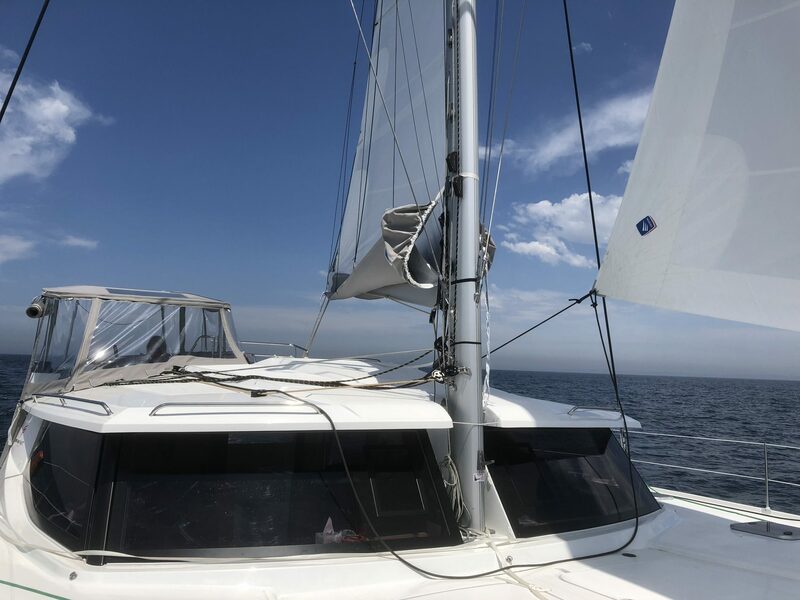 They acknowledge catamarans do not point as high when hard on the wind but say the off-the-wind performance under the big gennaker more than makes up for it. “And when you’re cruising you don’t want to smash into it in rough conditions anyway,” Joe said. 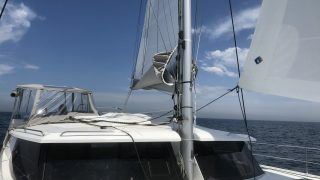 The main is much larger and you don’t have the same range of positions as on a mono, but with the wind from 130 degrees aft they sail under the headsail or 86sqm gennaker alone anyway. “It’s just a lovely sail,” Joe said. The boat is not quite so easy to tack, but they say the difference is negligible. 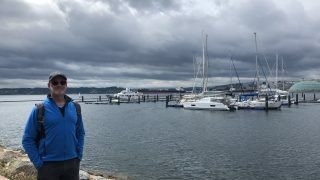 “You just bear away and make sure the sails are full before tacking, and then back the headsail a little to push the nose around,” Joe said. Another attribute they love is the 1.15-metre draught, compared to the 1.98 metres of their old monohull. This lets them get in much closer to shore to anchor, which means better protection from the wind and waves. 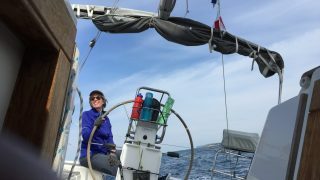 “I used to feel so sorry for the monohulls anchored further out pitching and swinging, while we were in the relative calm, sitting there relaxing,” Karen said. And the final word: are they converts? 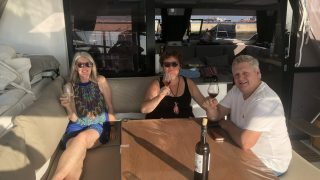 They say Joe will continue racing on a monohull because they predominate on Sydney Harbour, but, yes, when it comes to cruising, they are total converts and love their Fountaine Pajot to bits. They have only one regret: “Why didn’t someone tell us catamarans were this good 10 years ago,” Joe said.